You are at:Home»Women's Kitty»Empowering»LET’S SALUTE TO THE REAL HEROES, 10 MOST INFLUENTIAL WOMEN EMPOWERING INDIA! LET’S SALUTE TO THE REAL HEROES, 10 MOST INFLUENTIAL WOMEN EMPOWERING INDIA! Gone are the days when people use to discriminate for the kind of job you will be getting based on your gender! Celebrate 8th March, with your special lady and make her feel the importance in your life, because they are special! Let’s make this Women’s Day special for every mother, daughter, sister, wife or friend, who has taught us so much throughout their lives and never complained even a single bit. Women are proving to be more influential than a man in any and every field they choose to step in, be it politics, entertainment, sports, business, or jurisdictional. Today’s woman is a perfect combination of courage, passion, determination, and truth. Where at one place women have earned their rights and true identity after fighting for so long and proving to be better than any man, on the other hand, they have also proved their worth of making that right decision, to step into any field and demonstrate their power and equality with them. Indian women are still perceived as a quiet, docile type of women, clad in a saree with long hair and gold jewelry, who loves to stay inside the house and taking care of the family is the happiest thing about her life. But what the world doesn’t know is that these stereotyped Indian women are marking her true distinctiveness upon them. 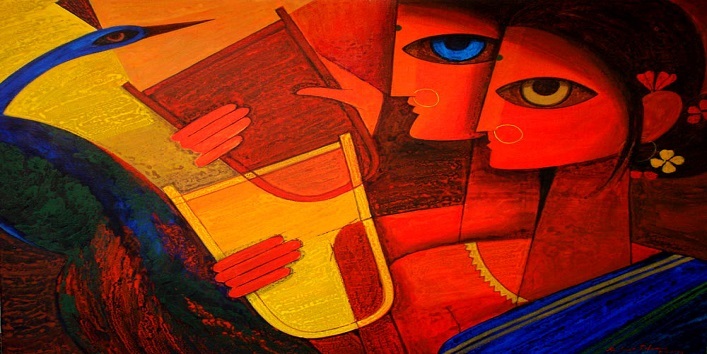 Also Read: 10 Legal Rights Every Indian Woman Should Know! Here are India’s top 10 Indian women who have proved their worth in every field and made their mark on the world. Ever since she knew what sports mean to her, P V Sindhu made a furious decision to never back down, no matter what life throws her way. She has truly shown us what is takes to be a real champion. From the age of 13 years, she has shown her outstanding talent in badminton sport and now at the age of 21 years, she made us all proud at the Rio Olympics 2016 when she became India’s First Woman to have won a Silver Medal after defeating world’s second best Spaniard Carolina Marín. 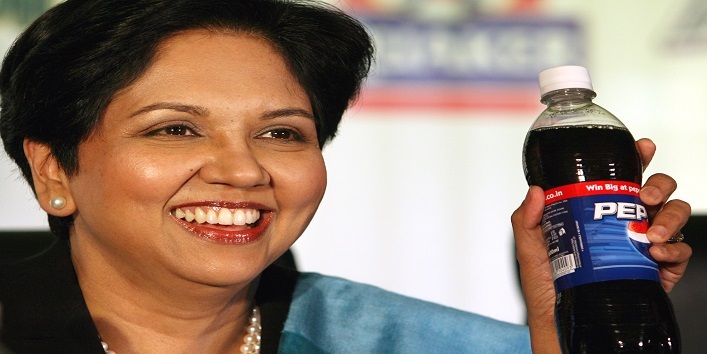 The CEO & Chairperson of the Indian-American PepsiCo, Indra Nooyi has successfully made it to the Fortune’s Most Powerful Women In The World list. Ranked on 2nd position, she has secured herself a great position for a tough job, in a company with over $63 billion annual net revenue. Indra, 61 years old, was born in Chennai, is the only Indian-American executive in 19-member Strategic and Policy Forum. 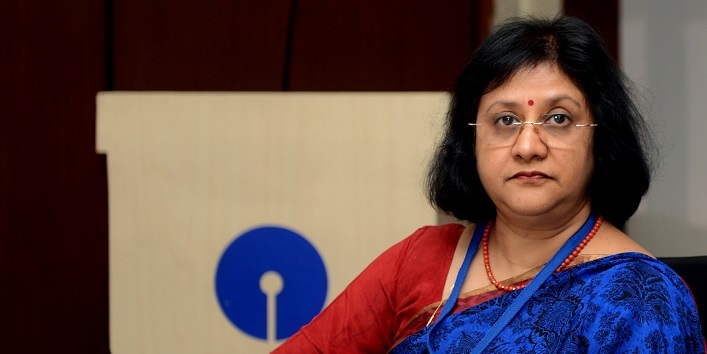 The first woman chairperson of State Bank of India, Arundhati Bhattacharya, 60, who hails from Kolkata, has been listed on 25th rank in the Forbes’s most powerful women in the world list. She made various outlines to the bank like SBI General Insurance, SBI SG Global Securities Pvt. Ltd., and SBI Macquarie Infrastructure Fund, during her tenure period with the bank. A great actress, producer, singer, and the Ambassador of the UNICEF Global Goodwill, our Bollywood favorite ‘Piggychops’ has not left anything that she can’t do. Ruling the industry with her great skills, the multitalented actress, Priyanka Chopra has debunked the stereotyped moulds which define the gender roles. Currently working in the Hollywood TV series Quantico, PC has firmly kept her roots attached to India well. Debuting in her house production Purple Pebble Pictures, in a Marathi film, she is soon to be launching in a Punjabi and Bhojpuri movies as well. Who says repairing trucks is the job of men only? Well, Shanti Devi proved them all wrong. This 50 years old mother of eight children who is running an automobile workshop with her husband, has not only slammed the general stereotypical mindset of Indians but has given many women courage to take a step forward for their better lives. 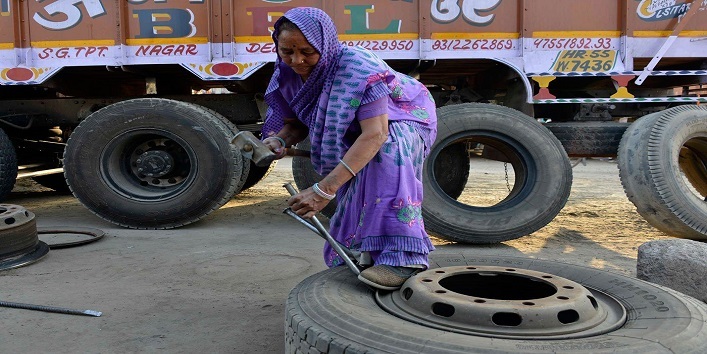 Shanti Devi, living on the outskirts of Delhi, is the only woman truck driver in India, who did not choose this as per profession by choice, but what makes her inspiring is her passion and courage to help her family get through all the hurdles with a mere smile on her face and a little intelligence. Soon after the death of her husband, Prema Ramappa Nadapatti, who is 35 years old, quit her nursing job and took the job of a bus driver, while being unaware of the fact that applying in BMTC (Bangalore Metropolitan Transport Corporation) will get her the title of Bangalore’s First Female Bus Driver. She taught us the most important lesson, that a woman can up to any extent for the sake of her family’s wellbeing and happiness. 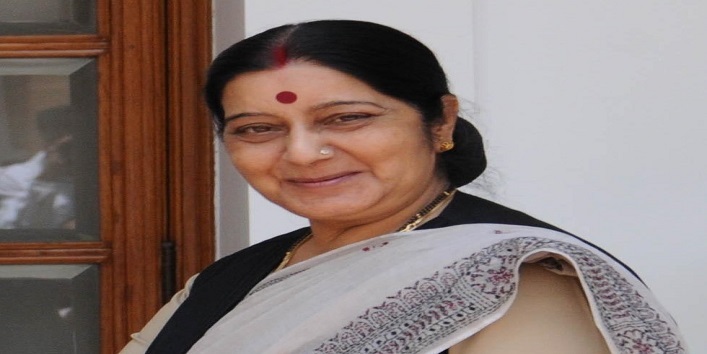 Only after Indira Gandhi, the former Supreme Court lawyer and the BJP leader Sushma Swaraj was the second woman to take the place of India’s External Affairs Minister. She was the youngest female cabinet minister at the age 15. Even after her kidney failure, she kept her purview on the political matters and tweeted everything she wanted to get through to the ministers via Twitter and proved how social media and technology can be used to get things moving while undergoing the treatment. India’s first female freestyle wrestler from Haryana, Sakshi Malik, 24, who broke the general stereotype, that too with a style, is the first to win a medal at Rio Olympics and made us all proud. 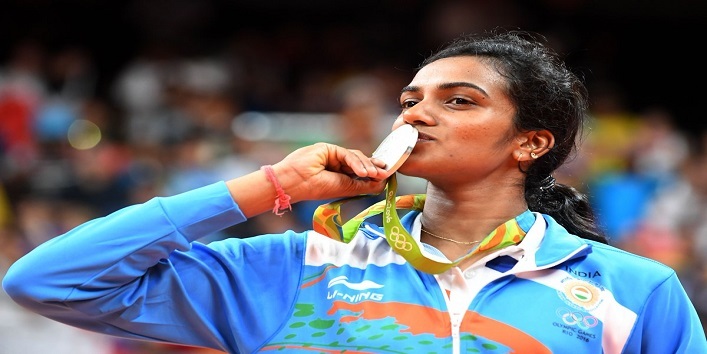 Since she was 12 years old, she started training herself in wrestling and now at the age of 24, Sakshi has bagged many medals in Olympics and Commonwealth games as well. This lady proves that not only gender but age can never be a barrier in serving your country right. Sumitra Mahajan, 71 years old, is known to be the current Speaker of Lok Sabha, belonging to Bharatiya Janata Dal Party. 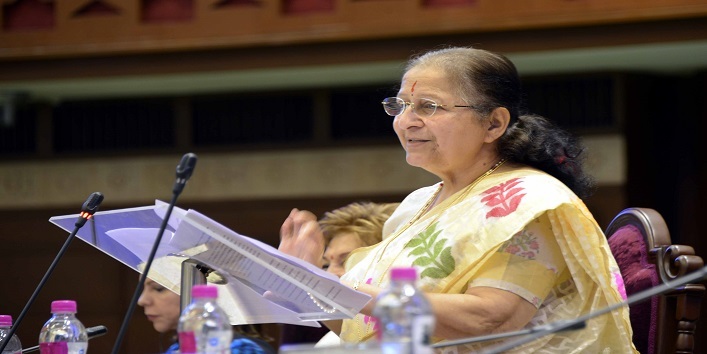 Elected eight times to the Lok Sabha, Sumitra is the longest servicing woman member, amongst being one of the eldest members amongst the three of the 16th Lok Sabha. 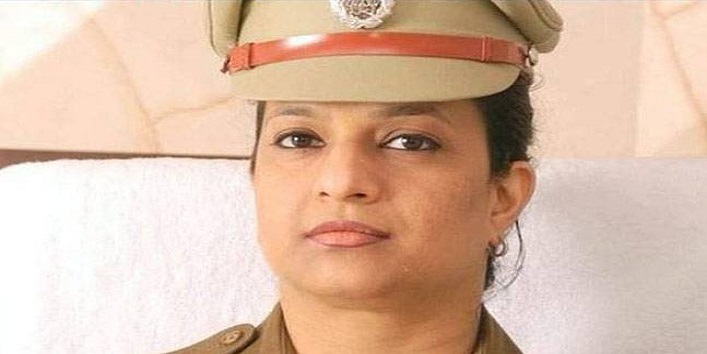 An outstanding IPS Officer of 1998 batch, Bharti Arora is the true hero to all the Indian women. A great woman who belongs from Haryana, felicitated by the President Pranab Mukherjee, has done the rewarding job for her community betterment. She has introduced many policing programs, campaigns at Rewari and Faridabad for the prevention of sexual abuse for girls, and welfare programs for the jail inmates in Bhondsi and Ambala prisons. The list doesn’t end here, there are an endless number of women out there who hasn’t even received any recognition for their brave and powerful work and achievements. So, instead of sitting and letting things happen, get up and take a stand for your rights and prove your power of being a true Indian Woman.